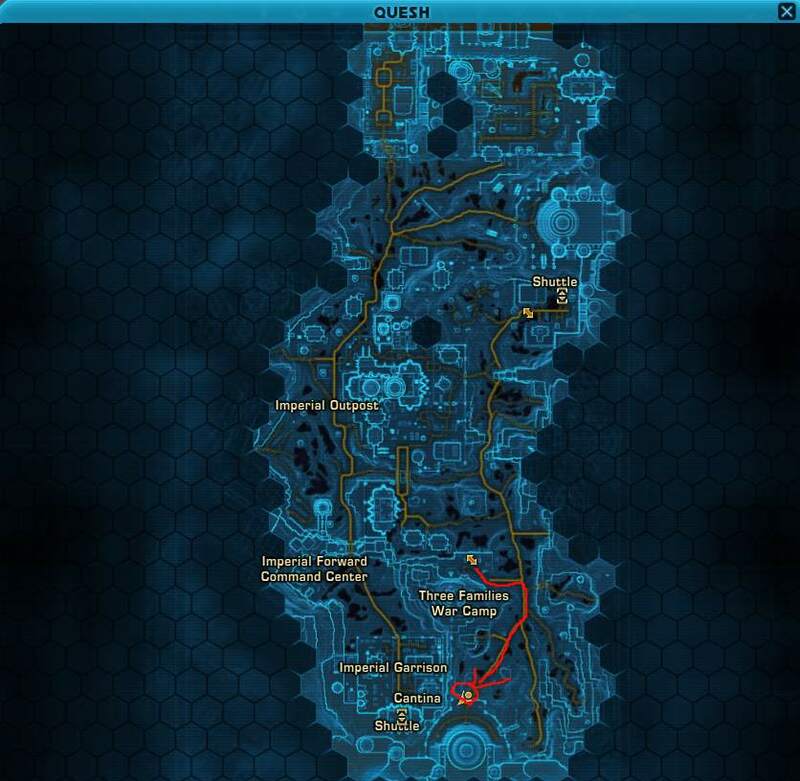 The Strength datacron is quite easy to reach – if you’re doing the world quest chain on Quesh, you’ll be in the vicinity near the end of the chain anyway, so that would be a great time to do it! 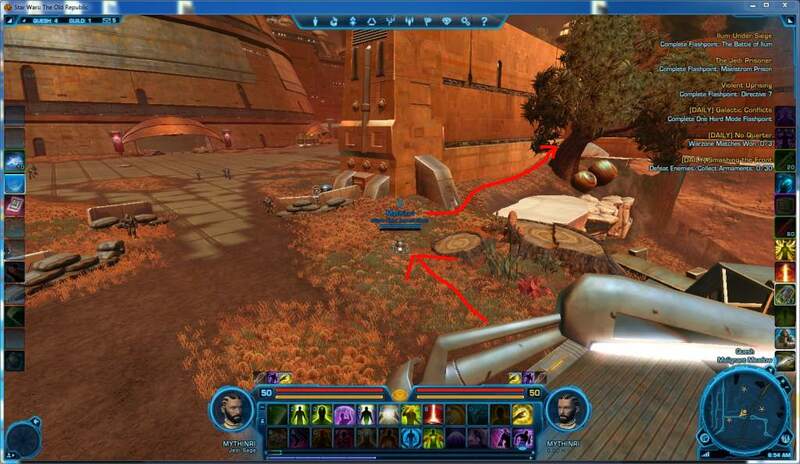 The Strength datacron is in southern Quesh – start by heading to the circled area in the Quesh map below. Once in position, your surroundings will look similar to below. You can see we’re making a right-hand-turn right before the wall, and following the terrain (click below image for a larger view). The path is really quite easy – just keep following terrain all along the wall. Keep going, past the tree. 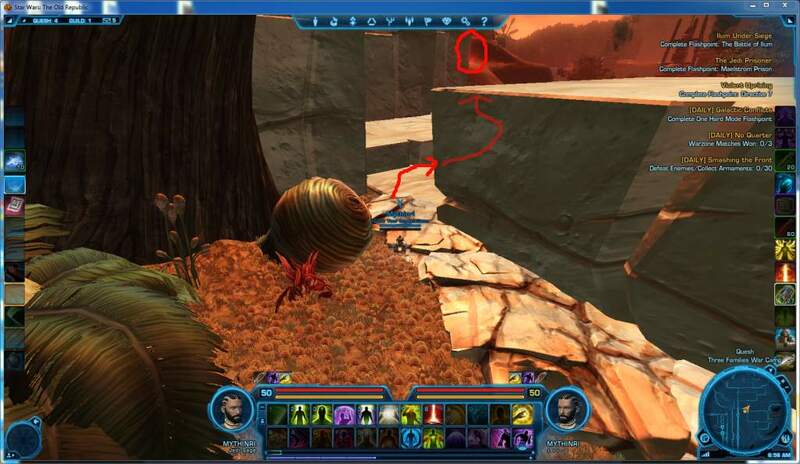 As you probably guessed, you can do the entire run on your speeder. 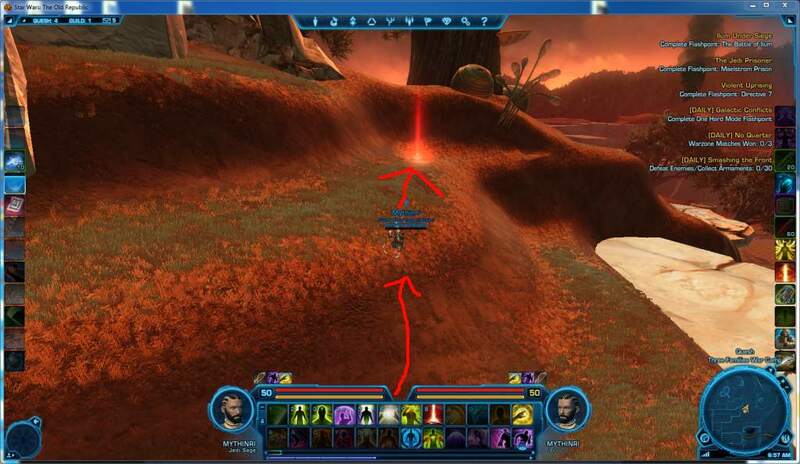 Eventually you’ll see the datacron glowing in the distance. Just keep following the arrow above. Just keep following the arrow. Almost there! If you haven’t grabbed the other datacrons on Quesh yet, now is the perfect time to finish them up using the buttons below. 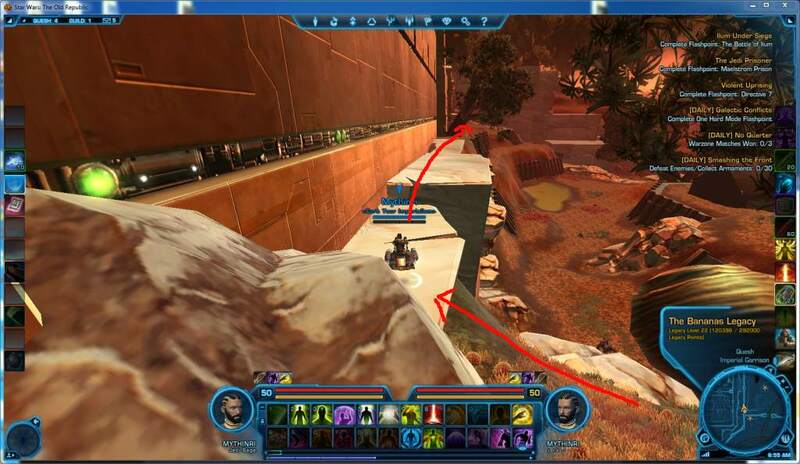 On the other hand, if you’re all done on Quesh, you probably want to head back to the main page and check out the datacrons another planet, right? 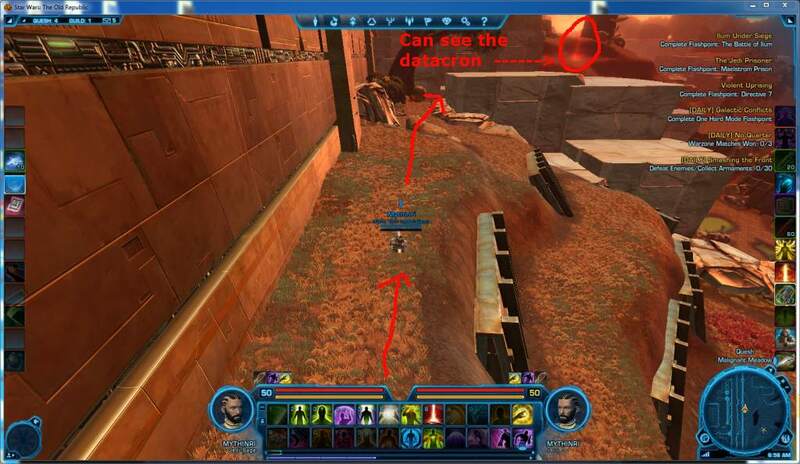 © 2012 SWTOR Republic Datacrons All Rights Reserved. This site is in not endorsed by or affiliated with LucasArts, BioWare, or Electronic Arts. Trademarks are the property of their respective owners. LucasArts, the LucasArts logo, STAR WARS and related properties are trademarks in the United States and/or in other countries of Lucasfilm Ltd. and/or its affiliates. © 2008-2011 Lucasfilm Entertainment Company Ltd. or Lucasfilm Ltd. All Rights Reserved. BioWare and the BioWare logo are trademarks or registered trademarks of EA International (Studio and Publishing) Ltd. You may not copy any images, videos or sound clips found on this site or ‘deep link’ to any image, video or sound clip directly. Game content and materials copyright LICENSOR. All Rights Reserved.